Welcome to the May 8, 2017 edition of ACM TechNews, providing timely information for IT professionals three times a week. Researchers at the University of Sussex in the U.K. have developed MistForm, a mid-air fog display that enables users to reach through it and interact with two- and three-dimensional (3D) objects. The system also can change shape and position to optimize visibility, facilitate interaction, or flexibly adapt to single or multiple users interacting with the floating content. MistForm adjusts its shape to better support user interaction, while removing any image distortion caused by projecting on moving and curved fog surfaces. "MistForm can adapt to these scenarios, moving the display surface so that both the object and the hand remain comfortably visible," says Sussex's Diego Martinez Plasencia. 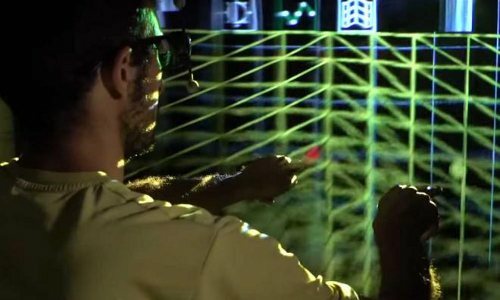 "With this kind of technique, we can provide comfortable direct hand 3D interaction in all the range your arms can reach." The researchers will present MistForm on Wednesday at the ACM Conference on Human Factors in Computing Systems (CHI 2017) in Denver, CO. 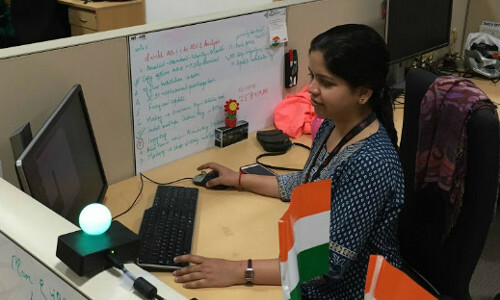 Researchers at the University of British Columbia (UBC) in Canada have developed FlowLight, a desk light that automatically switches from green to red when a user is "in the zone" and should not be disturbed by co-workers. FlowLight switches between green and red based on the user's keyboard and mouse activity. UBC professor Thomas Fritz notes the key is the light changes automatically, because once a worker is focused on a task, stopping to manually turn on a light, close the office door, or put a cone on the desk is disruptive to the work and cumbersome. During testing, volunteer employees reported fewer interruptions, and enjoyed an improved office culture in which people were more respectful of each other's time and space. The researchers will present FlowLight on Wednesday at the ACM Conference on Human Factors in Computing Systems (CHI 2017) in Denver, CO. The Computing Community Consortium collaborated with the Electrical and Computer Engineering Department Heads Association to produce a series of white papers characterizing a collective national research agenda for intelligent infrastructure. The overview cites the poor grade U.S. infrastructure received from the American Society of Civil Engineers, and describes intelligent infrastructure as "the deep embedding of sensing, computing, and communications capabilities into traditional urban and rural physical infrastructures such as roads, buildings, and bridges to increase efficiency, resiliency, and safety." The infrastructure supports descriptive, prescriptive, predictive, and proactive capabilities. It is increasingly envisioned as a solution to resiliency challenges confronted by local governments, including strained resources, aging infrastructures, global economic competitiveness, and human/environmental stressors stemming from rapid regional expansion and change. The white papers consider how intelligent infrastructure could beneficially impact transportation, energy management, public safety, services, and disaster response in urban and rural settings. Researchers at Dartmouth University and the University of Waterloo in Canada have produced Cito, a prototype watch face that moves in five directions. The researchers say Cito, which has the ability to rotate, hinge, translate, rise, and orbit, significantly improves the functionality and addresses the limitations of conventional fixed-face watches. "The Cito prototype is an exciting innovation that could give consumers even more great reasons to wear smartwatches," says Dartmouth professor Xing-Dong Yang. He notes Cito aims to remove awkward moments associated with using smartwatches by improving how the device presents data to the wearer. The five watch face movements can be performed independently or in combination. The researchers plan to integrate innovations such as an ultrasonic motor to reduce bulk and increase battery life to make the actuated watch technology more practical. They will present Cito on Wednesday at the ACM Conference on Human Factors in Computing Systems (CHI 2017) in Denver, CO.
New research questions the validity of the community-detection algorithm testing model, in which researchers run the algorithm on known data from a real-world network and check to see if their results align with metadata from that network. "Our research rigorously shows that using metadata as ground truth to validate algorithms is fundamentally problematic and introduces biases without telling us what we really need to know: does my algorithm work?" says the Santa Fe Institute's Daniel Larremore. He says using metadata for algorithm validation constrains the types of communities that can be validated, which means "we'll only ever get algorithms that solve a small and restricted set of problems." 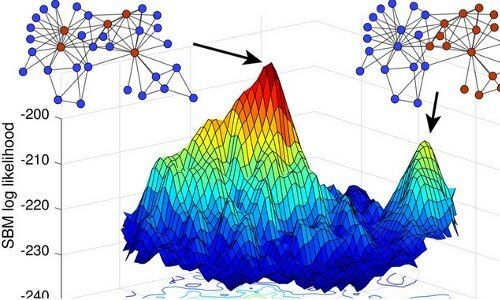 Larremore and colleagues also demonstrated the futility of developing a universal algorithm for network community-finding, since any algorithm that is outstanding at finding communities in one type of network must be exceptionally poor at finding communities in another. NVIDIA researchers have developed a neural network for autonomous driving that emphasizes what areas it is focusing on in a video image in an attempt to instill more accountability into artificial intelligence. During testing, the researchers found the network tends to focus on road edges, lane markings, and parked cars as human drivers would. "What's revolutionary about this is that we never directly told the network to care about these things," says NVIDIA's Urs Muller. He notes this is a good starting point for understanding the neural network's reasoning mechanisms. "I can't explain everything I need the car to do, but I can show it, and now it can show me what it learned," Muller says. He thinks this type of strategy could become increasingly relevant as deep learning is applied to virtually any challenge that involves large quantities of data, such as those in medicine, finance, and military intelligence. 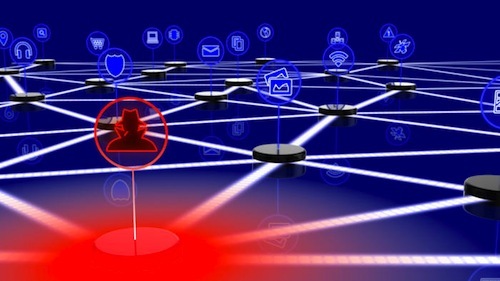 Microsoft researchers are testing a new Internet of Things (IoT) security approach under Project Sopris, which targets the delivery of secure hardware and a secure communication channel by concentrating on microcontrollers that govern the operations of industrial machinery. The project plans to deploy a secure hardware/software combination to embed many of the trusted computing models used in Windows within IoT devices. Project Sopris' IoT stack is based on a hardware root of trust that generates and manages the keys for cryptographically securing device-server connections, while also storing and managing device firmware and software. Code is compartmentalized so a failure in one section doesn't imperil the rest of the software, which helps prevent breaches from escalating. Incorporating security tools in each layer also cuts the risk of attacks proliferating throughout the device stack. Project Sopris follows "renewable security" models so compromised devices can be automatically refreshed and re-secured with the latest software. 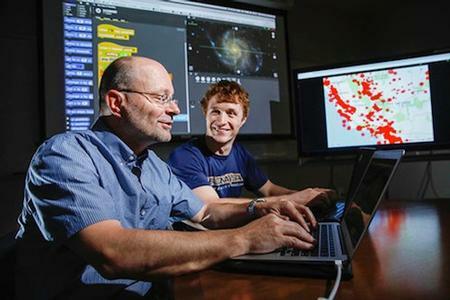 Vanderbilt University professor Akos Ledeczi is using a Trans-Institutional Programs project called NetsBlox to make computer programming more intuitive and comprehensible to non-experts. NetsBlox is a visual programming platform employing distributed programming and its underlying computational thinking, which Ledeczi wants to develop as a teaching tool. The platform is built atop an environment for constructing basic games, animations, or visual narratives, as well as a drag-and-drop coding language for children. "Distributed programming is rapidly becoming part of basic computer literacy, so NetsBlox presents a unique opportunity, because students already use this technology every day and their natural curiosity will motivate them to learn more about it," Ledeczi says. "We believe that NetsBlox will provide increased motivation to students to become creators and not just consumers of technology." The NetsBlox project is partly funded by two separate grants from the U.S. National Science Foundation. Nascent ultrasonic cross-device ad-tracking is an increasingly popular technology used to monitor consumers across different devices and build detailed behavioral, movement, and purchasing profiles without their knowledge. A research team determined in the past year that 234 Android apps can listen for ultrasonic tones emitted by beacons. They say some apps employ these beacons to display location-specific advertising content on users' phones, and many such apps have been downloaded thousands or millions of times. The researchers say the technology enables ad companies to tie media-consuming habits to a person's identity by detecting ultrasonic tones from websites and radio and TV broadcasts. "An adversary can precisely link the watching of even sensitive content such as adult movies or political documentations to a single individual--even at varying locations," they warn. Most alarmingly, the researchers say the tracking technology can strip away the anonymity of bitcoin users. Researchers at Carnegie Mellon University (CMU) have launched the Conversational Intelligence Challenge to create a chatbot that can understand a news or Wikipedia article and then discuss it with a human. The winner will be the team that builds the most engaging and convincing text-based chatbot. "I'd like to have a system that reads the news in the morning, and I'd like to be able to talk about the news without having to go read it myself," says CMU's Alan Black. A convincing chatbot is not expected to come out of this year's competition, but the stage is set for a major chatbot advancement, says University of California, Santa Cruz's Marilyn Walker. 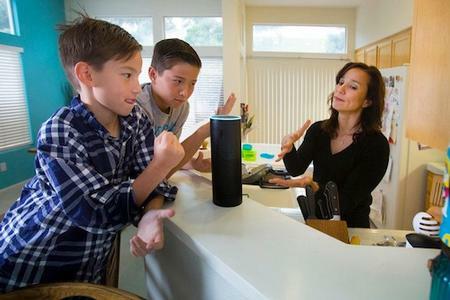 She notes researchers now have better access to datasets of conversations, while better speech-recognition systems are making it easier for people to chat with robots more naturally. "Things are really changing very, very rapidly," Walker says. 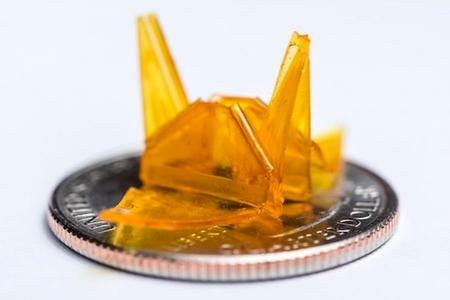 Researchers at the Georgia Institute of Technology and Peking University in China are using PowerPoint slides to generate self-folding three-dimensional origami structures from photocurable liquid polymers. The researchers projected a grayscale pattern of light and dark shapes from a light-emitting diode onto a layer of liquid acrylate polymer in a plate or between two glass slides, which triggered a crosslinking reaction and induced the formation of a solid film. A light-absorbing dye in the polymer was used to function as a light regulator, and the interaction between the development of the polymer network and volume contraction during photo curing means areas receiving less light display more apparent bending behavior. Once the film is removed from the polymer, stress created by the differential shrinkage causes the onset of folding. The researchers say flipping over the patterned film can support cross-linking on the other side, enabling shapes with bidirectional folding. 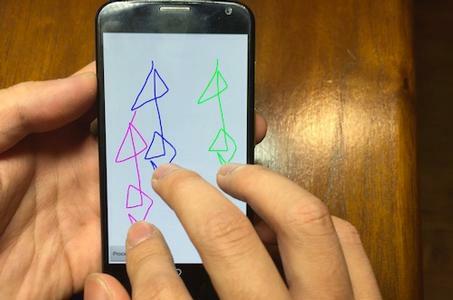 Researchers led by Rutgers University professor Janne Lindqvist have developed an identity input method called "user-generated free-form gestures," which could replace smartphone passwords with patterns drawn by the user on the device's touchscreen. "As users draw a shape or pattern on the screen, we track their fingers, recording where they move and how quickly (or slowly)," Lindqvist says. "We compare that track to one recorded when they set up the gesture-based login. This protection can be added just by software changes; it needs no specific hardware or other modifications to existing touchscreen devices." Lindqvist notes the system also permits multiple-finger input, and he says, "the key to improving security using one or more fingers is to make a design that is not easy to guess." Tests of the gesture-credential system on websites found the logging-in process was faster than text and password-based logins.